It’s tough to argue that some of the best ski resorts in North America lie in Western Canada. 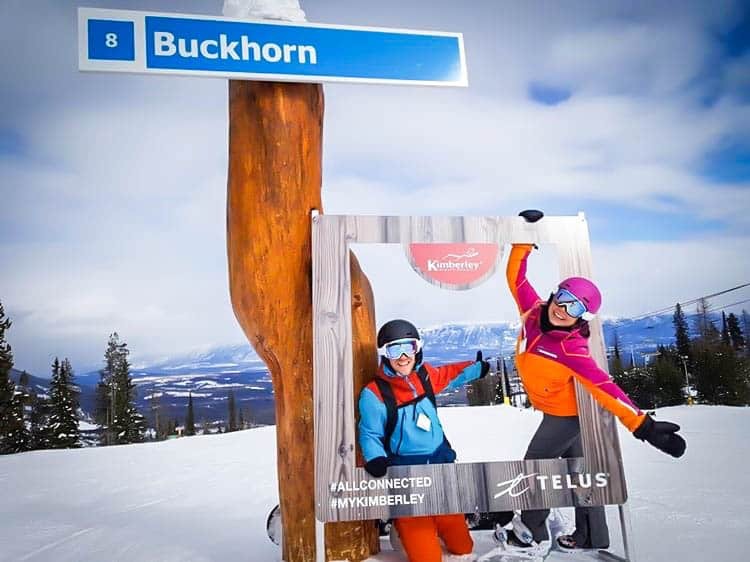 We spent the coldest month of the year exploring the resorts along the Candian Rockies and Purcells. Your next Canadian ski holiday will never be the same after taking a stab at some of these awesome destinations. This was our first introduction to the Canadian Rockies and we are happy we made the stop. Many people skip over Nakiska for it’s bigger and more intimidating counterparts of Lake Louise and Banff Sunshine. 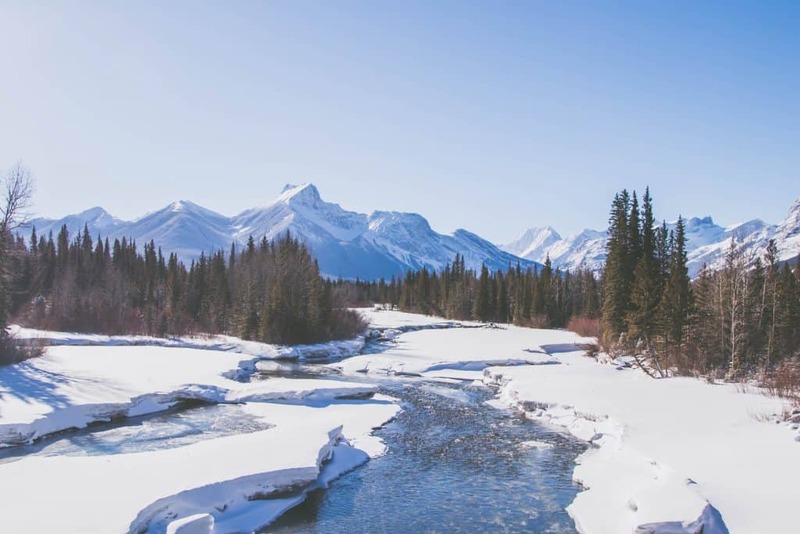 While the surrounding region of Kananaskis may not be as world-renowned as Banff, it is every bit as stunning and with far less tourism. To get to Nakiska you will most likely start in Calgary, only an hours drive away. The drive into Kananaskis Country instantly makes you feel small as the Canadian Rockies making you even forget you were just in a major city. Nakiska was originally built for the 1988 Winter Olympics in Calgary. Nineties babies may remember those Olympics from the movie Cool Runnings, about the first Jamaican bobsled team. Nakiska is easy to digest ski resort that is popular with residents day tripping from Calgary. It may not pull in the international visitors like some resorts, but its small feel is perfect for families looking for a low key vacation. We visited over the weekend, with snowfall, and still felt as if we had the resort to ourselves. We had a blast at Nakiska as the snow continued to fall leaving the slopes in great condition. While it may not have been enough for a powder day it left the pistes with a great base, and the large gladed with soft moguls and pockets of powder. It’s typically quiet during the week as Calgarians have to work and most travelers head to Lake Louise and Banff Sunshine. We particularly loved their “Monster Glades” and found deep snow turns, soft moguls, and beautiful snow trees. It’s probably a good idea to compare travel insurance plans if you’re skiing between trees. We stayed at the only hotel in the area, Delta Hotel Kananaskis. We got lucky as my sister is a Marriott employee and we were able to score a sweet deal on the room there. The resort is family oriented and they’re getting ready to open up a massive new nordic inspired spa. Just a heads up they also have the only food options in the area unless you want to make the drive to Canmore (45 minutes away). We hadn’t prepared for that and wound up eating expensive resort food for the weekend. Rooms at the Delta Kananaskis Hotel start at $200/night. Single-day lift tickets for Nakiska cost $84.95, but if you pre-purchase you will be able to get a deal. We found their on-mountain food to be reasonably priced. 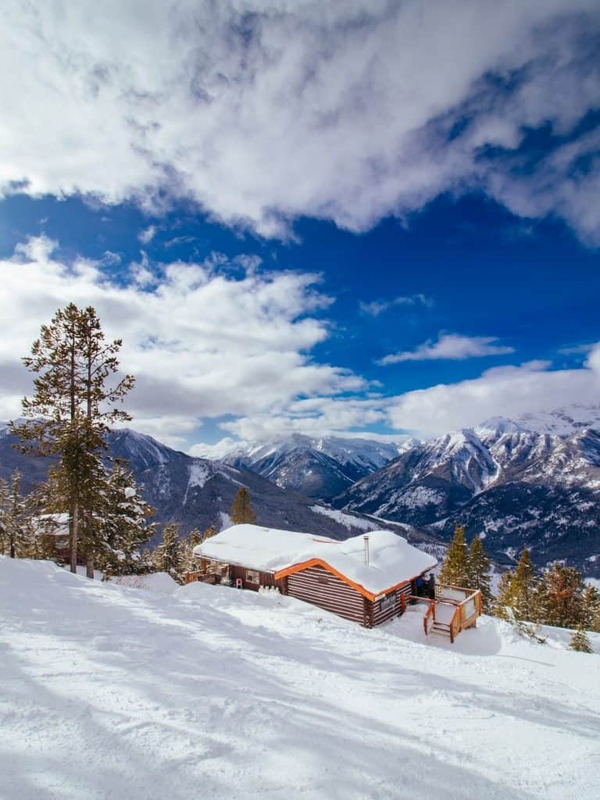 British Columbia is well known for its legendary ski resorts and Kicking Horse is one that consistently makes the list. The mountain used to be serviced for heli-skiing only, but with the new addition of a massive gondola a world of terrain has opened up to everyone. This Canadian ski resort is no beginners mountain with some crazy double black diamond cutes and bowls. Over half the runs on the mountain are either rated as black or double black and it’s well known for being an advanced and expert riders mountain. 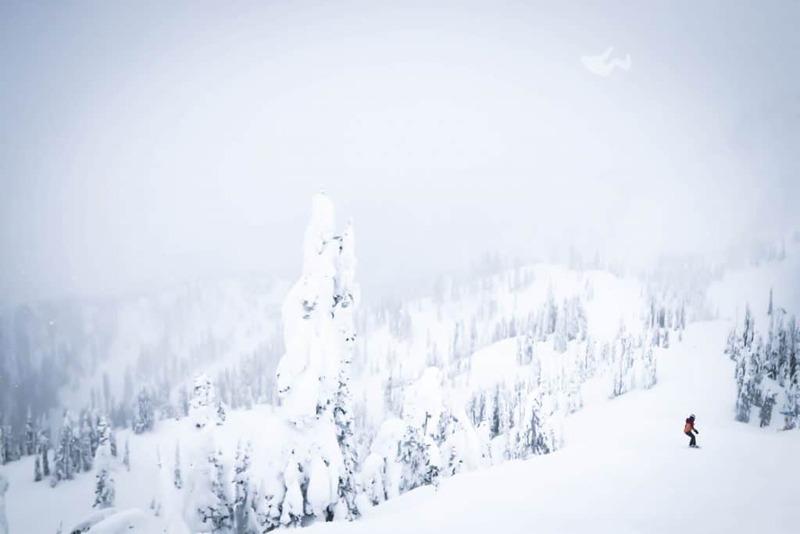 What makes the mountain even better is its location on the Powder Highway and being known for getting epic snow dumps and being the ‘Champagne Powder Capital of Canada’. However, with a gnarly mountain and little snowmaking and grooming capabilities, the mountain is prone to the weather. Hit it on a wrong day and you may be met with bulletproof ice and moguls unless you head to the more difficult to access steep terrain. 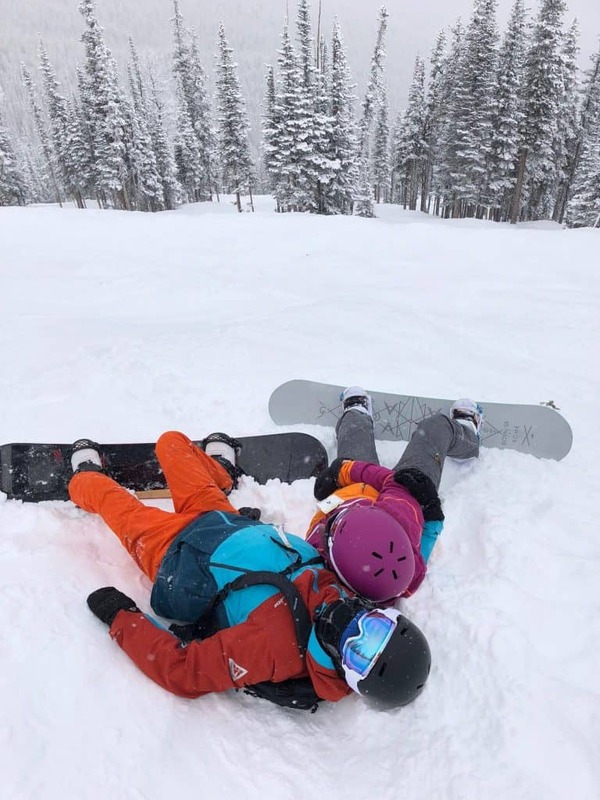 This is unfortunately what happened to us, but if you catch it on a powder day you’ll find untouched tracks and deep powder if you don’t mind waiting in the one gondola line. While crowds are far from what we witnessed we have heard the legendary terrain draws a crowd on a powder day. Kicking Horse certainly lived up to its reputation of humbling riders as we were met with -30C temperatures and hard conditions. Five days after the last snowfall I still found snow and soft moguls in the various shoots and bowls on the mountain. 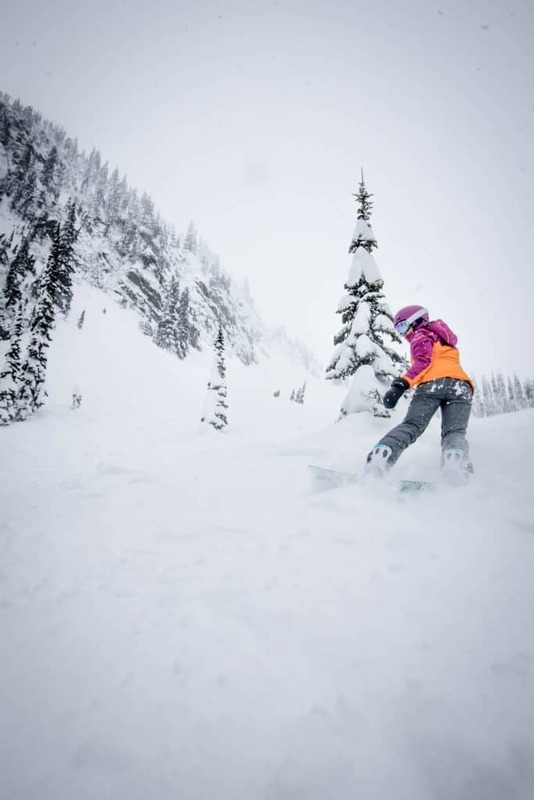 The resort best excels at generating fear, standing on top of or traversing along anyone of Kicking Horse’s ridges or bowls will be sure to send chills up your spine. We stayed at an Airbnb in Invermere and drove two hours in. If you can score an Airbnb in the Golden area that would be in much better proximity. 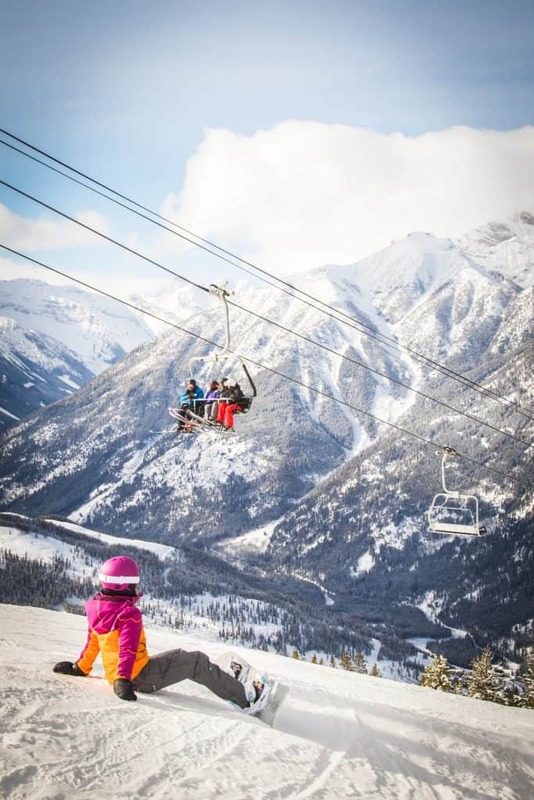 Single-day lift tickets for Kicking Horse cost $104.95, but if you pre-purchase you will be able to get a deal. 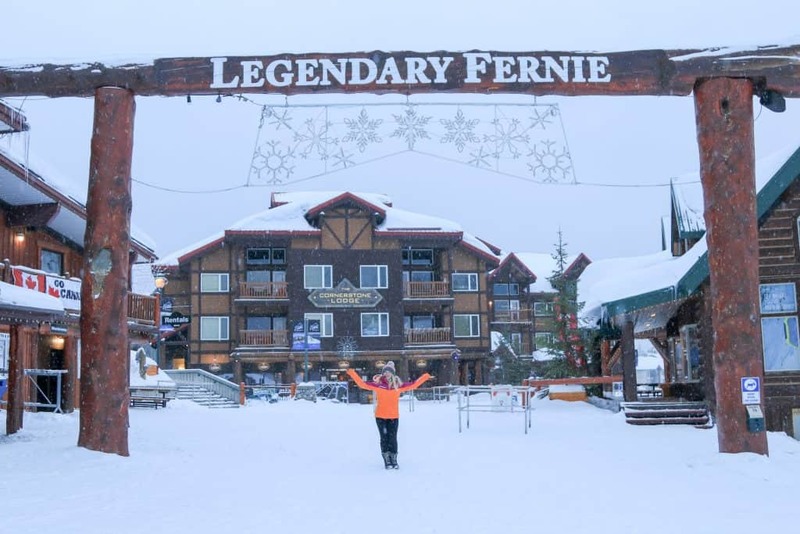 Fernie has been named as one of the best ski towns in the world by countless sites and magazines, including the likes of National Geographic. It’s historically a mining town that was voted the “Best Little Town in BC,” and for good reason. Fernie actually turned out to be one of our favorite spots in all of Canada. This resort in the Canadian Rockies is known for drowning in piles of snow. They see on average of nearly 9m of snow or about 29 ft a year. 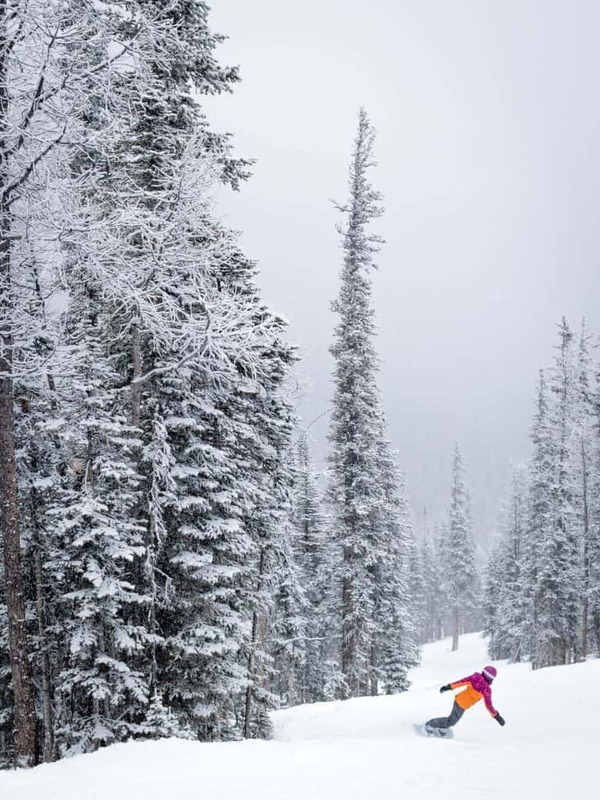 The resort is spread out over 2,504 acres of terrain that includes five large bowls, ridges, and glades. To explore all that the mountain has to offer would take a season at least, with countless options for new lines. 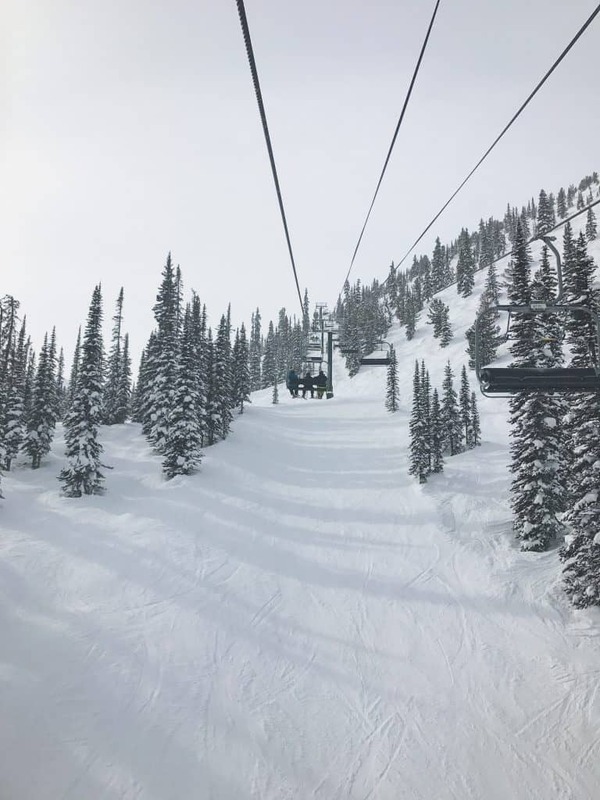 Located in the British Columbia Rockies, Fernie Alpine Resort is the ski destination that powder-lovers dream of and is another expert mountain on this list. With 2,504 acres of terrain spread over five spectacular open alpine bowls, ridges and glades, there is an endless adventure on this mountain. The one saying you’ll hear a lot in Fernie is “steep and deep” and it’s well deserved. The charming historical town of Fernie is only minutes from the base of the ski area. It is easy to see why with the old main street is well maintained and lined with ski shops, bars, restaurants, and coffee shops. 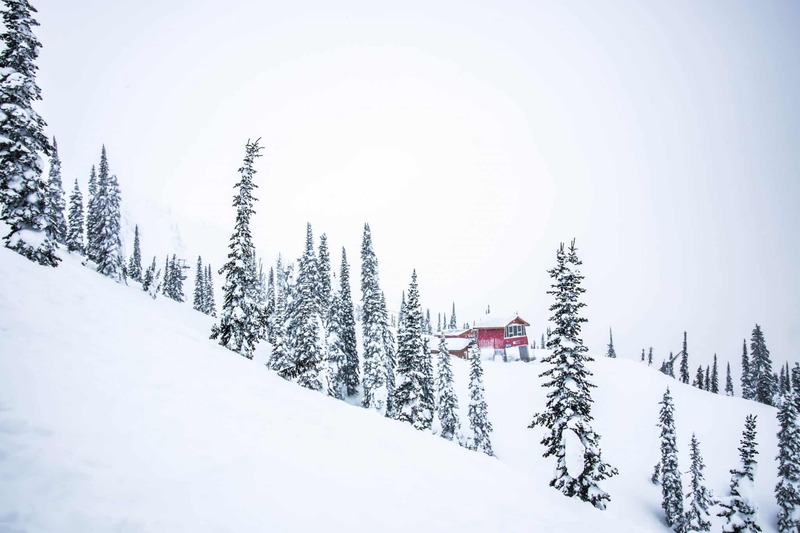 We’ve been looking for a future home and because of the epic powder and cute town Fernie is definitely a contender. The resort does have a few downsides, mainly that it is not a very kid or beginner friendly location. Beginners will also have a tough time finding long runs on the mountain. That’s not to say beginners and children aren’t welcome, but the mountain can indeed get dangerous and most of the fun stuff is at the top. The facilities at the resort could also use some updating. However, we weren’t too fussed with any of this because we were having so much fun in the powder. Also, it’s kinda in the middle of Nowhere meaning city day-trippers won’t flock in crowding the resort. We stayed at Fernie Slopeside Lodge, which is ski in ski out at the base of Fernie Alpine Resort, Accommodation here was basic but affordable at $89 a night. You really can’t beat ski in/ski out accommodation – especially on a powder day. Walk up lift tickets here will run you $104.95, check Liftopia for a discount. Panorama is a hidden secret in the Purcell Mountain range on the Powder Highway. It’s easily overlooked by many of the other full-service resorts in Canada and the U.S. When it comes to ski holidays people tend to think in the hive mind – as they all flock to the same resorts they have heard of. That means ski resorts in Colorado, California, and Vermont can become insanely busy and overpriced. Which is exactly what we didn’t find at Panorama. 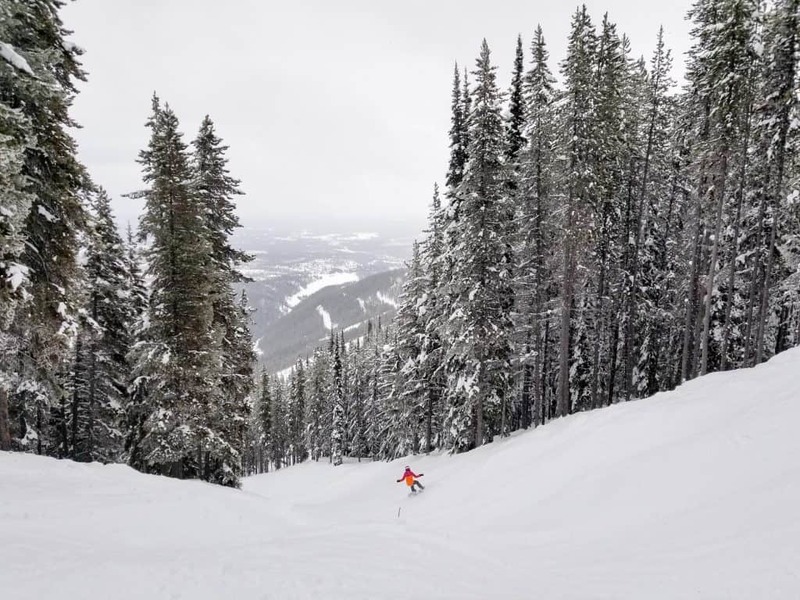 The Canadian ski resort boasts an impressive 4,000 feet of vertical, so your legs will be burning by the time you reach the bottom of the lift. One of Panorama’s greatest strengths is the lack of a crowd. The ski village only sleeps around 3,000 people. This might sound like a lot, but with 2,847 acres of skiable terrain and 10 lifts, you’re almost guaranteed to never feel crowded on the mountain and even on weekends you won’t find lift lines. We had runs entirely to ourselves and loved every minute. Expert skiers will find a wide range of challenging runs in an area accessible that was previously exclusive to heli-skiing. Now skiers can head to the Taynton bowl or the Extreme Dream Area, both great on a clear day. 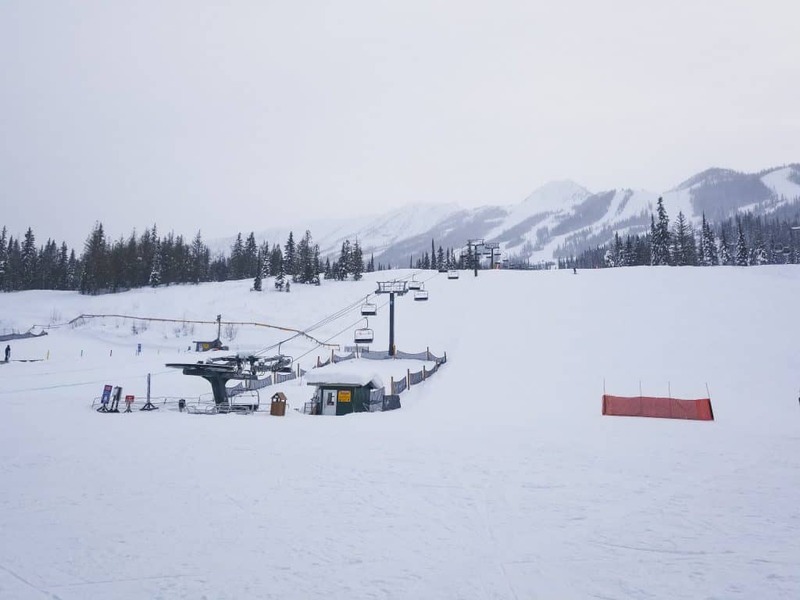 Unlike Fernie and Kicking Horse, Panorama is extremely family and beginner friendly with a number of green and blue runs. 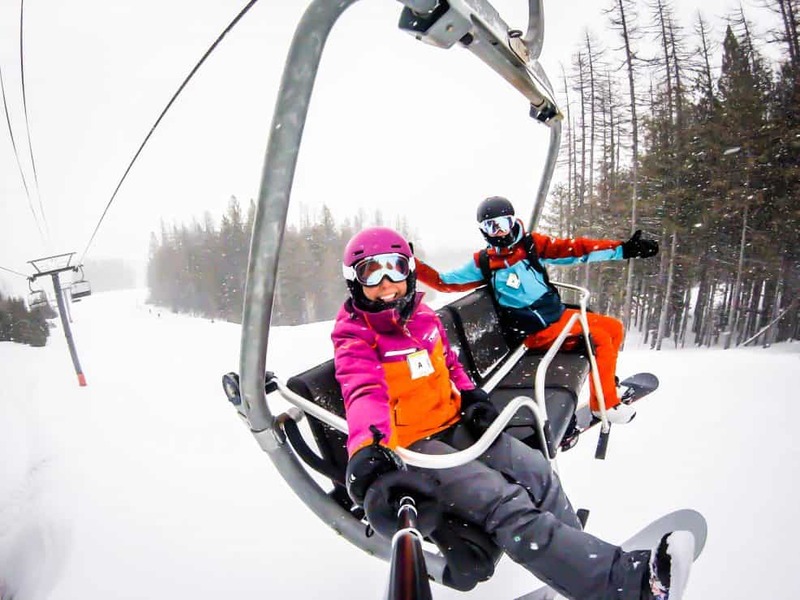 Our favorite part of Panorama resort is the two amazing terrain parks. 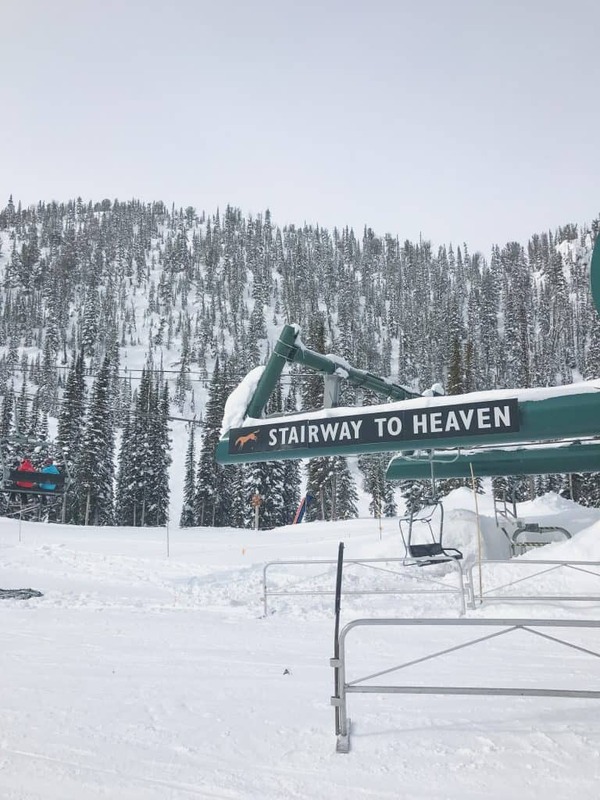 Both the beginner and expert terrain park are accessible by lift, but not directly under the chairlift so everyone can watch you take jumps (yay!). We spent a whole day in their beginner terrain park practicing our skills. We stayed at an Airbnb in Invermere and drove a half hour to Panorama in each day. It was great to base ourselves in the town of Invermere as we had everything we could want close by. One day lift tickets at Panorama cost $99, but if you pre-purchase you will be able to get a deal. This may be one of our favorites in the area just because it is so unassuming. 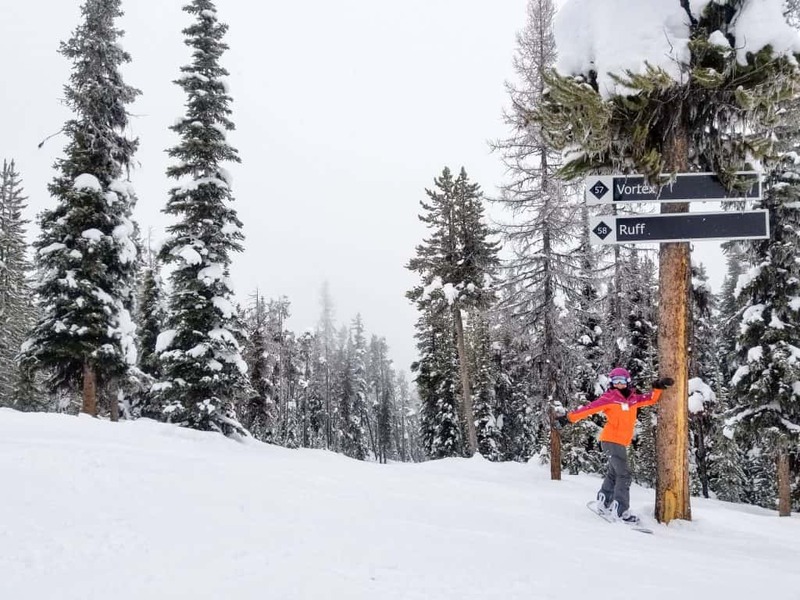 Unlike, Fernie, Kicking Horse, or Panorama there are no massive bowls, famed double blacks, or white knuckle glades to scare your ski pants off at Kimberley. Instead, it is a magical, simple, and quiet mountain that’s perfect for ripping a groomer or letting your kids have fun on their own without fearing they’ll fall off a cliff. A large part of it is due to its location across the valley in the Purcell mountain range, no it’s not located in the Canadian Rockies! Being so far away from a major city, this mountain is seriously quiet. We spent two days here enjoying having many runs all to ourselves. We also got really lucky and had a powder day here, which isn’t that surprising as Kimberley Alpine Resort is located on the Powder Highway. 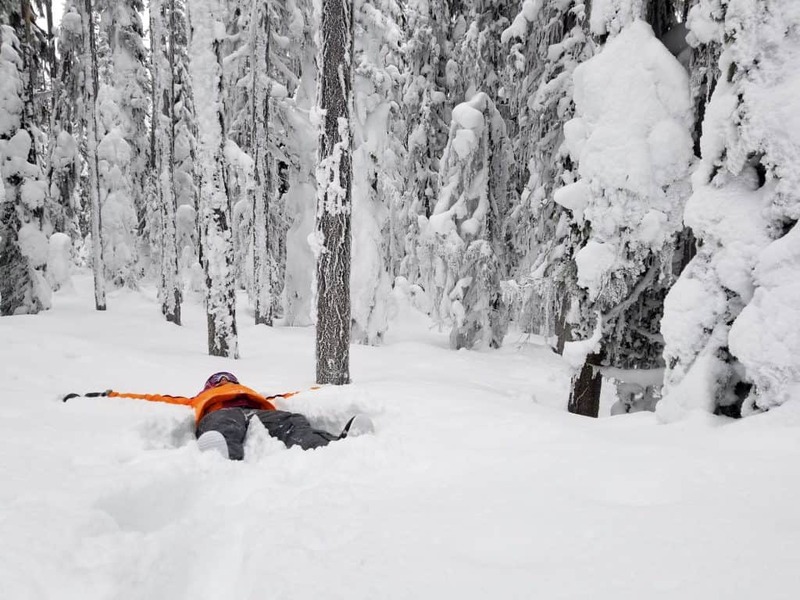 Kimberley receives an average snowfall of 13 feet of snow in a season! If you like glade runs you’ll love Kimberley. The tree-lined runs off the Black Forest are a real treat. It was arguably our quietest time on pistes as we never saw another skier or snowboarder in our path. If you’re looking for our favorite run on the mountain it would be Vortex. Its a tree-lined run in the Black Forest area with a natural half pipe perfect for both snowboarders and skiers. Kimberley also offers the longest night ski run in North America on Thursdays, Fridays, and Saturdays. 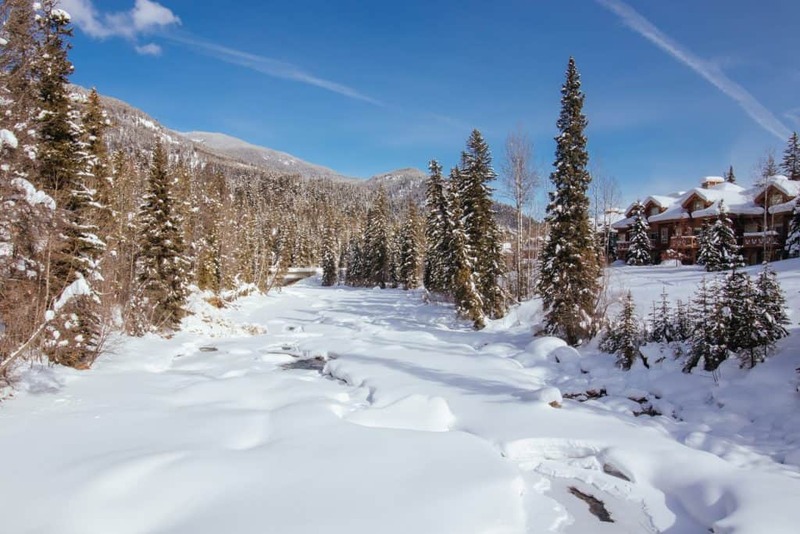 The resort offers ski-in-ski-out accommodation with their Trickle Creek Lodge. We stayed here and it was among one of our favorite hotels in all of Canada. The lodge offers studios, one bedroom, and two bedrooms that are fully equipped. Our room on the mountain had a full kitchen, gas fireplace, and a balcony that looked out to the mountain. Walk to the chairlift = 1 minute. Lift tickets here are $79.95 a day. Night skiing costs $32.95. If you plan beforehand you can score a deal. So what are you waiting for? 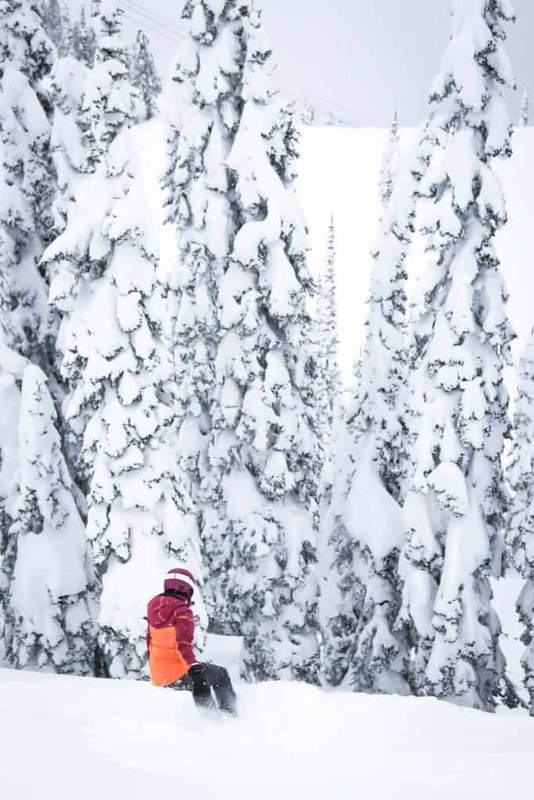 Go get your powder on in these Canadian ski resorts!